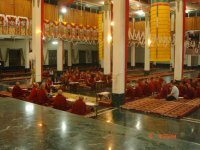 The Geden Phacho Bhucho Preservation Centre was able to manage another Conference on the 4th of January while His Holiness the Dalai Lama visited Drepung Monastery In South India. 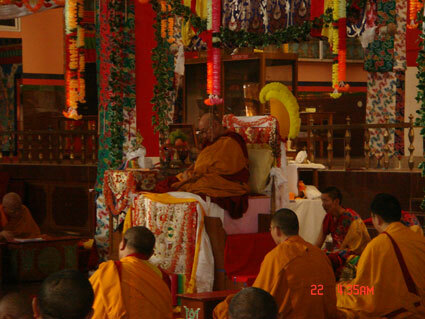 This conference was conducted under the support of Professor Samdhong Rinpoche. At the Conference there were Jangtse Choje Rinpoche and Sharpa Choje Rinpoche who are Holders of two of the three highest spiritual positions in the Gelug Tradition of Tibetan Buddhism and also Professor Samdhong Rinpoche himself also Denma Locho Rinpoche, Dhakpa Tritul Rinpoche, Khyongla Rato Rinpoche, Lama Zopa Rinpoche, and some other high lamas. Of course all the abbots of Drepung Sera Ganden Tashi Lhunpo which are four major Gelugpa monasteries and Gyutoe, Gyumey, also Rato Monastery's. Also those monasteries former abbots and many middle aged Tulkus. Hundreds of monks and lay observers also turned up too. 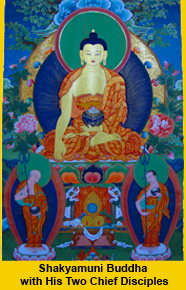 1 How to pass on those rare teachings that so far Geden Phacho Bhucho Preservation Centre (GPBPC) has been able to find. Which are not only with Lamas in India but also teachings that are left only with some Lamas from many different countries. 2 In order to speed up this work we also need good staff in the Dharamsala office therefore how are we going to find the right people in time. 3 What kind of people are we going to ask to go to those different countries, to receive these teachings. 4 At the moment The Geden Phacho Bhucho Preservation Centre has found some difficulty with insufficient funding so how could Gelugpa members help with this. Professor Samdhong Rinpoche, Jangtse Choje Rinpoche and Sharpa Choje Rinpoche gave a wonderful speech then had common discussions. Everyone used the time so well and shared their opinions. The result was some Lamas volunteered to help with finding the texts which we can't get in India. Some said they will support the teachings when the GPBPC organise them. Moreover, many Lamas said they will back up the work of the GPBPC in any directions. Ven. Geshe Beri Jikmey took a transcript of the whole discussion and meeting. Also we were able to manage a video cameraman, so now we have a new DVD on this conference. If you want to have copy of this, even the first one just write to us, we will send a copy to you but we will charge you only for the cost of making and posting it to you. Also you can watch the video on our website. Soon after this conference Lelung Rinpoche invited some lamas and contributors for tea in the meeting hall above the new Loseling prayer hall. Not many of them turned up but we received substantial donations, which you can view on the income section on this website. 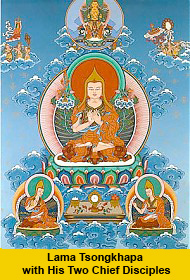 In addition Lelung Rinpoche and his staff visited many of those Lamas and the result is the GPBPC have set up some more rare teachings by Lamas for the younger generations, as you can see under the forthcoming teachings on this website. Your support is also most welcome. Monastery and we are very thankful to Ven.Thamthog Rinpoche for sponsoring tea and bread for five days for the monks. Geden Phacho Bhucho Preservation Centre would like to say thank you for making it happen. Set Teachings of Youthok Nyingthig (there are over 53 sections) including the empowerments and oral transmissions, were given in Tara temple on roof of the mean prayer hall. Due to regular practices not all people were allowed to receive these teachings.Therefore, only around a hundred people including H.E. Ling Rinpoche, H.E.Kunde Ling Rinpoche, Changkya Rinpoche and abbots and former abbots, senior monks as well as some Tibetan Doctors and medicine learners. In the mean prayer hall empowerment of Yellow Vajra Bhairava (the wrathful Manifestation of Manjushri) and Word Discourse of White Tara and explanations and guidance on In praise of Dependent Origination by Je Tsongkhapa also exegetical transmission of Vinaya summary by Sharchen Nyawang Tsultrim. Geden Phacho Bhucho Preservation Centre also would love to say thanks for all people who were involved with these teachings. The Tibet Foundation kindly published an article about The Geden Phacho Bhucho Project a couple months ago, which has raised awareness of this project with their news readers. Also The Tibet Foundation has offered one of their staff members for ten hours a week to research teaching texts which The Geden Phacho Bhucho Preservation Centre urgently needed, in order to preserve those Teachings, Oral Transmissions & Empowerment’s. Therefore, The Geden Phacho Bhucho Preservation Centre would like to say "Thank You" to The Tibet Foundation for taking up part of this vital project.